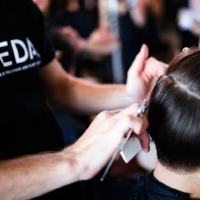 If you're considering opening your own salon, the Aveda community wants to continue connecting with you. Enjoy watching your business grow while Aveda supports your growing artistry and offers unparalleled products along with a trusted brand. The Aveda Salon Network offers resources to help you start, grow and sustain your new salon. Contact Aveda to find out more about becoming a visionary partner. Posted on February 27, 2015 by Julie Hill and filed under news.